tomato puree (water, tomato paste), diced tomatoes in juice (tomatoes, tomato juice, citric acid, calcium chloride), cabernet wine, contains less than 2% of: onions, olive oil, sugar , salt, garlic, spices, granulated garlic, granulated onion. In Piedmonte, full-bodied red wines add “sapore” or savor, to the table and to life. Here, Cabernet Wine is used as the secret ingredient to add warmth to this unique flavor of pasta sauce. No matter where I am across the country, or whatever store I am at, this flavor is out of stock most of the time. 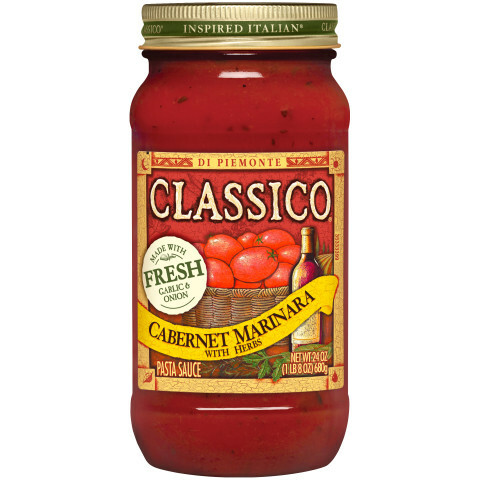 this is our favorite marinara, whether for pizza or pasta. 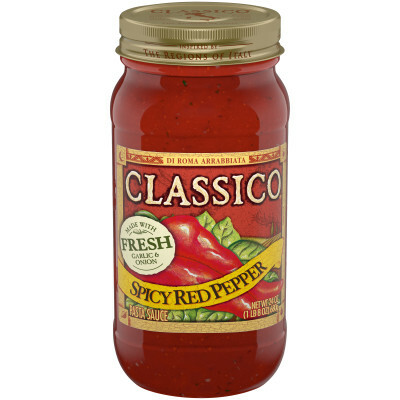 it is great straight out of the jar, or "decorated" with your own ingredients, meat of choice, or veggies. and of course, it pairs great with your favorite red wine, too!